One theme, which clearly emerged as inputs from the leaders, was execution accountability. On an average a management team invests thousands of critical man-hours in boardroom/ meeting rooms, the question to be asked, are they genuinely productive? Over 90% of the respondents we asked this question said no. So what could be the reason? The Houdini’sType – This team pops up while creating an annual plan and asks for data from across functions and post creation of the plan does a vanishing act. And to be seen during the review meeting sometimes. These type of companies build 2 classes amongst team (unknowingly) the corporate and rest of others. Living on the edge Type– these are a set of companies, who do not believe in strategic planning or vision and find it a waste of time. (Believe me, they do exist and in masses.) These companies focus on a month-to-month plan with no strategic vision. Some of them pretend to be non-conformist (Strategy Atheist) but deep inside they lack know how at a leadership level. King with the golden robe Type– These are set of companies where decision making resides in one corner office. Whether the company is doing well, bad is decided upon which side of the bed the king woke up from. The companies are highly perception and ego driven. The single focus for the teams is to please the king. The Change Makers– they are a group of people closely aligned with the purpose and leaders vision. They fail together and succeed together. These companies align their teams with their purpose first and the drive execution accountability. They work in a network of teams and the leadership team rolls us the sleeve whenever required and run the shop floor. Globally, the shelf lives of companies are getting shorter and shorter. Product Power and Proprietary Power will not just be enough. 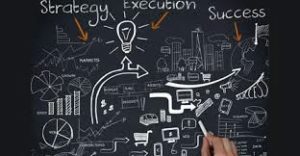 The key differentiator of a company will be the way you work and get the Strategy Execution done. Always remember the pace and the quality of execution will decide if your team is working for you or your competitor! The human race is genetically engineered to explore the new. From, the inception of a wheel to put the man on the moon. Humans have always pushed the boundaries of imagination and possibilities. Our Hero has always been The Voyagers – who have been driven by passion, grit, and determination to explore the unexplored. Taking a journey involved with risk and possibility on no return. Still, with all the odds stacked against them, they went and explored the world, identified new geographies and made the world connected with various cultures and people. Today’s CEO’s are no less than a Voyager taking the business to unexplored territories. Navigating odds and challenges every day. While the destination is crystal clear the path to reach the destination is always challenging. It requires taking quick decision making, directing, aligning and pushing each and every team member to stay on track. And that’s what inspired us at qilo to empower the CEO (Voyager) with right Navigation instruments to view, if on the right track or not or require a course correction. 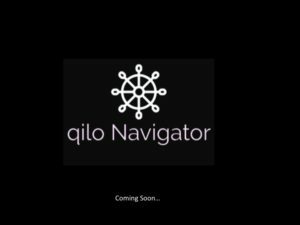 Introducing qilo NAVIGATOR For CEO’s to view what’s working and what’s not in their Strategy Execution roadmap! In your Growth journey of taking your organization from point A to point B, you need qilo NAVIGATOR, ensuring you reach your destination faster!! How close is your brand to Consumers? As a leader you should ask this question, is your brand working hard for you while you are busy making business presentations? A brand is the sum of experiences you are providing to your consumer in the entire lifecycle. At each stage, there is an expectation from the consumer, if you are meeting 10/10 then you have the consumer as your advocate, if not you may have to struggle to retain your consumer. India has been a customer acquisition market because of its size and population. We do not take customer engagement seriously, more so when it comes to giving experience. The focus is always been on acquiring, acquiring and acquiring more even if you are unable to give value or service to the consumer. The mindset has to change. Today the customer is more empowered and has choices if you do not have a secret ingredient – then why should someone buy you? There are more like you in the market. You are just like a commodity and the only differentiator is your pricing and placement, not your brand!! Customer experience is not owned by one department, it is owned by the organizations. If you use OKR or Hoshin try incorporating this and see how aligned your teams are. If you get this right see how growth unlocks, it sounds simple but it that elephant which is moving in your office yet no one sees apart from you !!! Execution is the Key For Business Growth ! The biggest challenge for leaders who drive strategy execution is the lack of visibility on who is executing and who is not. And most importantly building predictability in Achievement. Very soon, qilo will be unveiling it’s Navigator feature. Which will empower CXO’s to clearly see the depth of the iceberg! Whatever Strategy Execution Software model you use, OKR, BSC, Hoshin. If not executed well is just theory without impact.